So you haven't played Ciel nosurge or any of the Ar Tonelico games, but have an interest in Ar nosurge - this is where I began my journey with Gust's Ar nosurge: Ode to An Unborn Star. Its stunning trailer instantly piked my interest with its striking visuals and moving music, prompting me to walk into its world with no prior knowledge, just with high expectations of these things being woven into a complex story. To put it simply and honestly, I was ready for Ar nosurge to be my next favourite game. 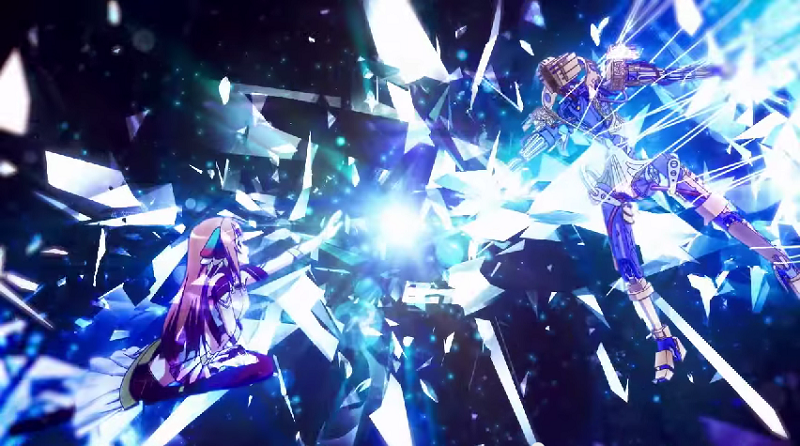 Realistically, Ar nosurge has a tendency to spoil itself with a lack of overall polish in various areas such as translation and field design, but definitely filled the brief on the story and the stunning anime cutscenes I was hoping for. In my 50+ hours of gameplay, it managed to surprise me with just how deep its social elements had me feeling strongly attached to the main cast of characters and always left me ready to advance the story and bring myself further into its world. Even though its not the best game of this year, Ar nosurge's emotional story and strongly willed characters have certainly earned a special place in my heart. Ar nosurge begins in the world of Soreil, a spaceship that citizens are living on thanks to the destruction of their previous planet. Soreil's world is plagued by a fear-filled divide between species and the citizens experience even more trouble thanks to power hungry individuals who don't care who they have to destroy to get what they want. The main cast fight for the greater good in this story and the overall story is coloured strongly with shades of trust, the coming together of races, the acceptance of differences and deepness of relationships, all with a pinch of risque humour. The story follows two pairs - Delta and Casty, and Ion and Earthes - who provide a look into different, intertwining parts of the story. You play as the male members of these duos, helping guide your female partner to success. Maybe this says something about the JRPGs I've been playing of late or the actual level of quality in the game's character design, but I was particularly impressed by the hot-headed tsundere Casty and the strong-willed and kindhearted Ion as the game's main female characters. Without giving too much away, it was wonderful to play a game with strong female characters who had their eyes set on some pretty ambitious goals with strong morals and a drive to make things better for everyone around them. All the other characters compliment both pairs well with their own beliefs and personality quirks, which make for amusing dialogue, even in unvoiced scenes. Working alongside the strong story are Ar nosurge's mostly optional social sim elements, mostly in the Genometrics system. The Genometrics system links your duo's female character's heart to their male partner's heart and allows you to get to know both the NPC and your own heroine at a deeper level while working towards earning highly useful song magic for battle. These Genometrics scenarios play out like a dream sequence and have a visual novel feel, due to the choices you can make having an effect on the outcome of each scene. Since these Genometric 'Dives' are designed to help you get to know each character's heart more intimately, these sessions are raw and emotional, consequently helping you get to know the deeper, more hidden sides of each character. The two heroines have a lot of different sides to their personalities to unlock and the Genometrics are well paced enough to keep things surprising and interesting until you've completed them all. There's also the Purification system to help get to know the two heroines further all while in lesser clothing. It's a lot more tame than it sounds, which I personally was thankful for as it is used to also equip status boosts to your duo. Don't be totally fooled though - Ar nosurge does throw in the occasional fan service moment, often when you least expect it. After earning Song Magic and boosts from the social system, they're put to use in Ar nosurge's battle system. At the beginning each battle, you will pick the Song Magic you want to charge during battle. 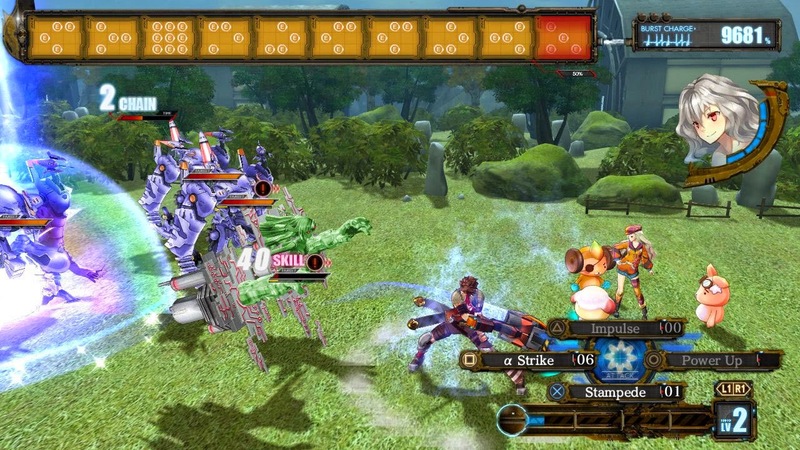 The battle system takes elements of active battle systems by having the player choose between different attacks that all have a limit of use per turn and can be used consecutively to create combos and 'break' your opponents next attack. 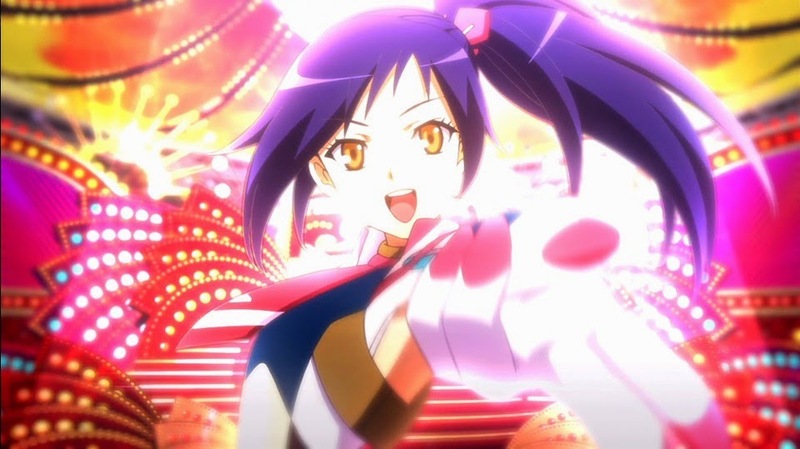 Each turn you don't use your Song Magic (the overdrive attack of the game), it charges and becomes stronger. The stronger it gets, the closer you are to using it to wipe away all waves of enemies in one hit, earning some pretty sweet EXP bonuses and other perks in the process. Although the battle system can be guilty for being repetitive after 20+ hours of game time, it does hold a good balance between being outwardly simple but more complex if you pay more attention to things such as breaking your enemies attack. I spent most of my battles striving to annihilate my enemies with Song Magic in order to level up my characters and because each chapter of the story matched my level well, the system continued to remain challenging throughout my entire campaign with it. The only downside is there isn't much of a variety in enemies, but the game makes up for this by giving you more waves of enemies to defeat as you progress. 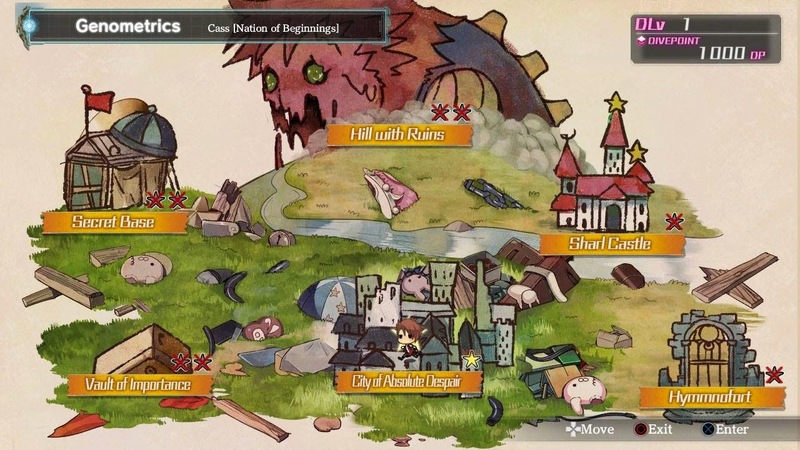 Ar nosurge also boasts a secretly complex equipment upgrade system and item synthesis. If you were wondering why I said 'secretly', it's because there is barely a tutorial on how to use it (if at all). I didn't work out just how useful equipment was and where all my newly synthesized items had been going until very late in the game, meaning I probably could have been a lot stronger and have been completing battles faster if it was explained to me. Ar nosurge has a tendency to forget to explain itself sometimes or be too fast in its explanations - it does provide small tutorials, but only the very basic fundamentals of the game. I managed to work out most of the games mechanics, complete most genometrics, complete the main story and a few side activities in 50 hours. The back of Ar nosurge's cover says there is over 100+ hours of content and I tend to believe that - I still had a lot I could have done by the time I finished. 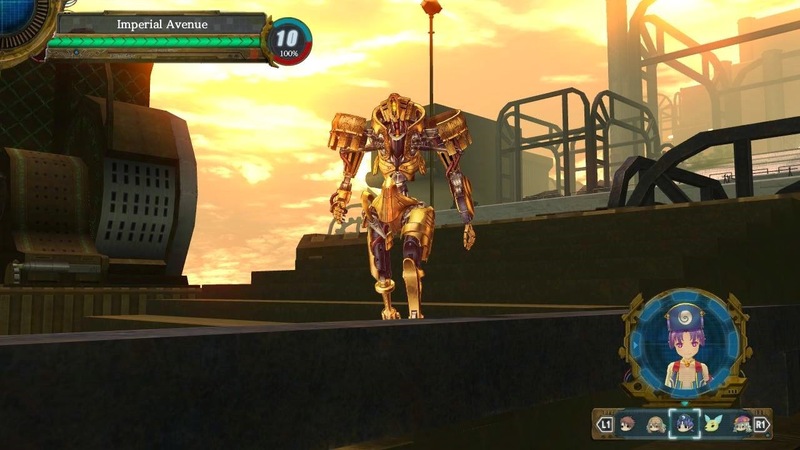 It has roughly five endings, including two possible true endings. To add to that, there are also various levels of genometrics and purification conversations to complete and shop synthesis conversations that can actually take hours of time. I often found myself leaving shops with recipes left over to synthesize and new conversations left just because there were so many. I did enjoy the optional nature of these things because I was enjoying the main story a lot, but it's nice to know there is more content to complete if I do want to come back to it. Ar nosurge is at its core a good game, however there are some glitches and parts of the game lacking detail that I unfortunately couldn't ignore. One of the first things I noticed immediately in Ar nosurge was that its visuals were not very detailed and character models were sometimes jumpy in cutscenes. It does make up for this during its high quality animated cutscenes and generally good character models, but it often means that the landscapes being traveled really don't have a lot to offer. To add insult to this, these landscapes are often filled with groups of multiple NPC characters that are visually exactly the same. I also found translation inconsistencies (things such as the spelling of names were frequent offenders) and a glitch I encountered twice that didn't want me to use a large amount of attacks in a specific area and instead took me to a permanent loading screen, which was annoying after not saving for an hour. Other great elements such as music, animated cutscenes, an enjoyable story and mechanics allow me to overlook these things for the most part, but I feel like these things could put off more casual or newers fans of JRPGs considering there are plenty of games and other JRPGs without these problems. Despite its lack of polish, at the end of my time with Ar nosurge I've found myself wanting to go back and plainly wishing I had more time to complete all of its endings. The characters and story of Ar nosurge was full of strong ideas and there is definitely a good game to be found behind it's imperfections. While Ar nosurge may not be the most remarkable or groundbreaking JRPG of the year, it's fun combat, genometrics system and moving story with memorable characters is worth the time of anyone who is already interested in playing the game. I can't wait to play the Plus version on Vita! Ar nosurge: Ode to an Unborn Star can be purchased in English and Japanese at Play-Asia! All photos for this review are from the game and are not my own. They were sourced from Ar nosurge's official website. 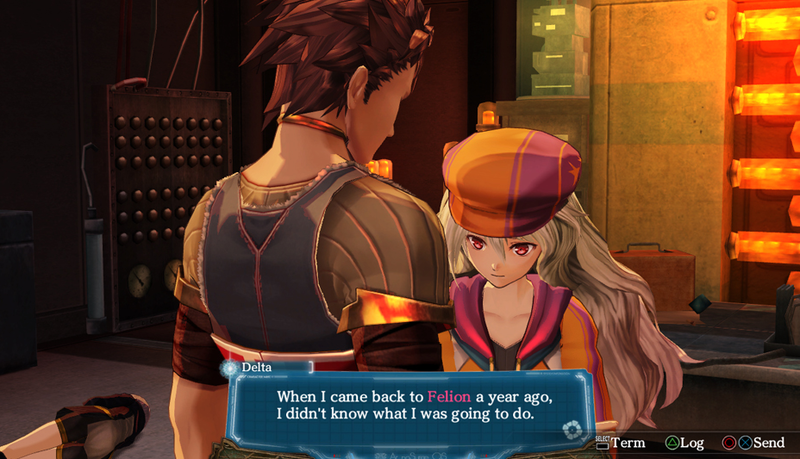 Will you be picking up Ar nosurge? Team Casty or Team Ion? I'd love to hear your thoughts, so comment below or send a tweet to @JRPGJungle. Thanks for reading! Edit note (Jan 2018): I did some clean-up to this review as I'm linking it in a much newer article. The score remains the same, I mostly just fixed up some horrid grammar and overuse of certain words, but most of it is at its core the same (I could've done much more :3). Also, this was a good game that I want to play again sometime and I still haven't picked up the Vita version. Oops.